Our partner academy for professional methodical expertise. The non-profit F+U Group of Companies is one of the largest private education providers in Germany. It has centres throughout the Federal Republic as well as in other European countries and cooperates with state and private education providers all over the world. In the capital city, Berlin, F+U specialises in professional and continuing further education, as well as commercial retraining and qualifications. The successful dual-study model of the bachelor degree programme and the modern, distance, full-time and dual-study master’s programmes at the University of Applied Sciences for Business, Technology and Culture (Hochschule für Wirtschaft, Technik und Kultur - hwtk) offer young people practice-focused education. Increasingly, the programmes are designed to meet the needs of international students; the new BAInternational Management programme is delivered in English. 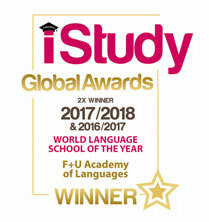 Since 2013, the F+U Academy Of Languages Berlin has further developed its range of programmes with the introduction of world-class, academically demanding language and computer courses. The Berlin school is continuing the tradition first begun in 1980 in the romantic Neckar city of Heidelberg. As the original F+U language school, the Academy Of Languages Heidelberg welcomes over 10,000 learners and examination candidates from over 100 countries every year and is one of the largest and most successful language schools in Germany. Our innovative network of teaching experience and educational competence benefits all our language learners in Berlin. Our learners include international students aiming to improve their German in readiness for higher education or preparing for the Feststellungsprüfung with the help of our International Prep School. 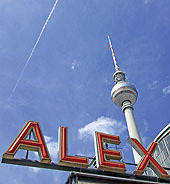 They also include Berliners keen to enhance their foreign language skills, for example in Business English or in preparation for the TOEFL® exam. Our flexible in-house training is also a popular choice for companies and diplomatic representatives. Since January 2017 our Berlin language school has also functioned as the International Office of the University of Applied Sciences for Business, Technology and Culture (hwtk). This means we are able to support international university applicants throughout the entire application process and offer valuable first-hand tips and information, also during the language course. Central location by Potsdamer Platz and excellent public transport connections (three underground stations, all within three-minut walk: Potsdamer Platz, Anhalter station, Mendelssohn-Bartholdy-Park). 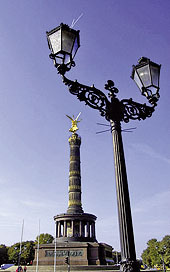 The Sony-Center, Brandenburg Gate, Tiergarten, Checkpoint Charlie and two of Berlin’s largest and most popular shopping centres (Mall of Berlin, Shopping Arcades) are within walking distance. Light, pleasant classrooms in the historic Gründerzeit building of the F+U International Training Campus. Barrier-free access, an accessible WC and separate wheelchair lift are provided. Several car parks available nearby. Long-standing experience in language teaching, targeted examination preparation, corporate training, Erasmus+ programmes and organisation of language tours; state-recognized Vocational College for Foreign Languages in Heidelberg. A wealth of educational competence: F+U operates the University of Applied Sciences for Business, Technology and Culture (hwtk), the International University of Cooperative Education (iba), bilingual schools (primary school, Gymnasium secondary school), a Realschule secondary school, an international boarding school and several colleges specialising in professional and foreign language training. Since September 2017 F+U has also offered the International Baccalaureate® diploma programme for international school pupils. Test Centre for TOEFL®, TestDaF, telc, TOEIC® and more. In 2017 we also became an approved telc University Competence Centre. Affiliations and partnerships: FaDaF (Fachschaft Deutsch als Fremdsprache); VDP (Federation of Private Schools in Germany); AOK (Allgemeine Ortskrankenkasse – statutory health insurance provider); Eurohodip (European Hotel Diploma); DRV - German Travel Association); Olympiastutzpunkt Rhein-Neckar e.V. (Olympic Training Centre); Deutsches Jugendherbergswerk (German Youth Hostel Association) and more. Planning reliability thanks to year-round guarantee of provision for our language courses. International atmosphere and free language tandems with learners from over 100 countries and German students from the F+U hwtk university of applied sciences and at other F+U branches. Lessons on Tour Programme: Identical language courses in Heidelberg and Berlin with a no-fuss switch of study centre. A range of exclusive accommodation directly on campus, in private apartments, with host families and in the exclusive F+U student hostel (equipped with TV, Wi-Fi, private bathroom; located just one stop – or a fifteen-minute walk – from the school). Organisation of bespoke accommodation (holiday homes, hotel rooms) on request. Committed to quality: A certified quality management system (DIN EN ISO 9001:2008) continuously monitors our compliance with important quality standards.